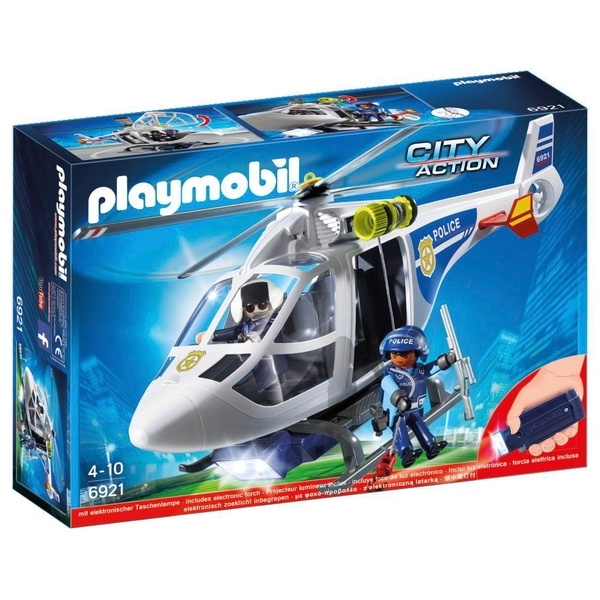 The Playmobil Police Helicopter with LED Searchlight has a working winch on the side and rotating rotor blades. The set comes complete with a flashing light that can be attached to the bottom of the helicopter for night time missions. The set includes 2 Playmobil police officers and accessories.